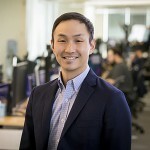 Bobby Cho is the global head of trading at Cumberland, a DRW company, a leading principal trading firm specializing in crypto-asset liquidity providing. Previously, Bobby was director of trading at itBit Trust Company where he was responsible for their crypto-asset trading and custody business. Prior to his role at itBit, Bobby was vice president of trading and a municipal securities principal at Genesis Global Trading, a Digital Currency Group company (f/k/a SecondMarket), where he assisted in the creation of one of the first crypto-asset broker-dealers. Bobby is also a mentor to Plug and Play, a Sunnyvale based global innovation platform. He is a graduate of Villanova University.